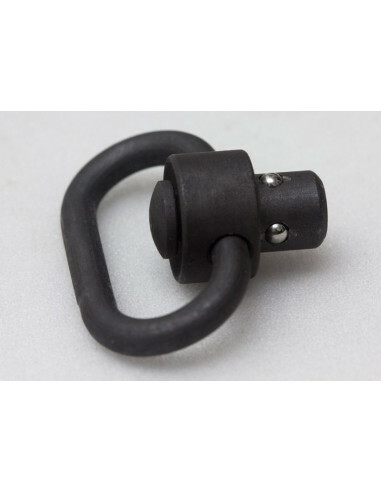 These are great for weapon rail packages, stocks, and accessory mounts that support QD Sling Swivels. 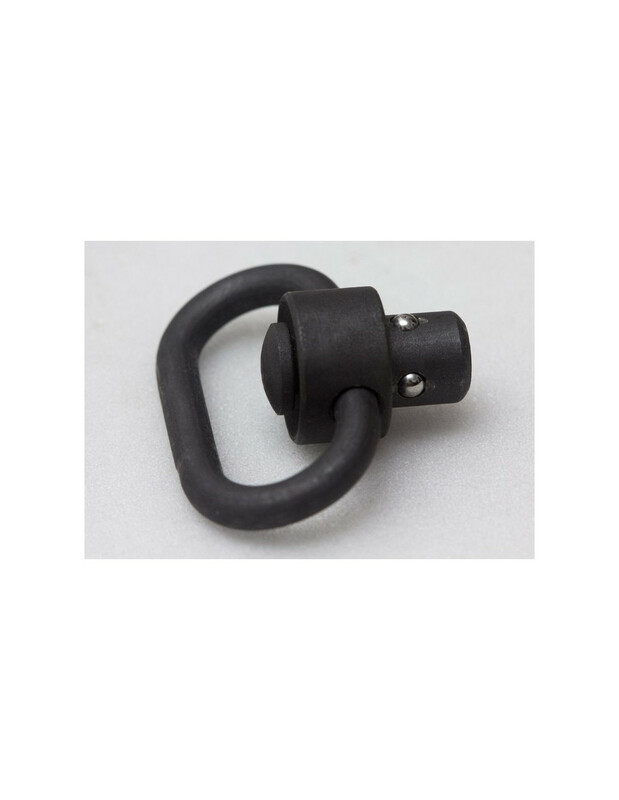 Loop itself rotates freely on one axis, however when installing into a mount, user can choose horizontal or vertical mounting rotation (90 degree flexibility). Release is performed by pressing the top "button". Gunmetal Grey color, sized to interface best with 1.25" webbing.